It’s difficult to find the right snack for the season, since the usual junk food is an easy winter go-to, but a major indulgence, and the healthier options don’t pack the strongest punch in the flavour department. Kennedy’s hits the right spot with its menu, which puts a new spin on some of our usual favourites. Good momo are a standard for measuring the worth of a Delhi fast food joint and Kennedy’s passes the test. Opt for the Kurkure momos or the red/white sauce momo for something new. The curd bombs, stuffed with vegetables and hung curd, are also great as light summer fare. Kennedy’s wins with its super pocket-friendly prices. On a tough day, you can feed yourself and a friend and be set back by just 200 bucks. However, the menu doesn’t offer anything in the beverages section, and we would really like to see them add more desserts beside the generic chocolate mousse. 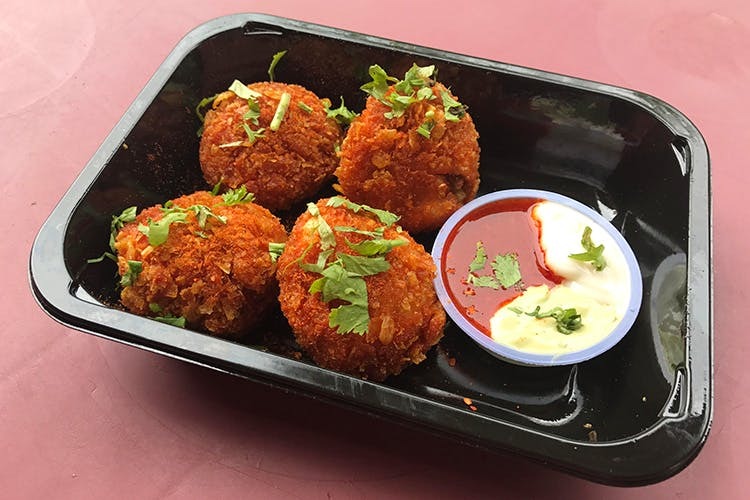 The place is located deep inside Patel Nagar, so if locating it gets too much work, order in through Swiggy or Zomato.